Tabbed browsing has been around for a long time and Firefox was one of the first major browsers to include tabs on its interface. Since then, they have evolved to make your browsing experience easier and more productive. This guide is available to download as a free PDF. Download 15 Must-Know Power User Tips for Firefox Tabs now. Feel free to copy and share this with your friends and family. Many features have been added to Firefox tabs over the years to expand their functionality. Today we’ll cover some power tips for using tabs in Firefox 57 Quantum that will help you better manage your tabs 12 Incredibly Useful Ways to Manage Multiple Tabs in Firefox 12 Incredibly Useful Ways to Manage Multiple Tabs in Firefox We all need an extension (or ten!) to wrestle browser tabs into submission effortlessly. Especially you, you tab hoarder. Read More . Several of the tips we cover involve the advanced configuration settings 9 Simple Tweaks to Speed Up Firefox Immediately 9 Simple Tweaks to Speed Up Firefox Immediately Whether you're a long-time Firefox user or switching from Chrome, this quick guide shows how to speed up Firefox performance. Read More available in Firefox. So, here’s how you access that page and change the settings. Type about:config in the address bar on the current tab or on a new tab and press Enter. Then, click I accept the risk. Use the Search box to search for the setting you’re looking for. If the setting Type is boolean, double-click the item to change the Value to true or false. If the item has a text string or number as its Value, double-click the item to open a dialog box where you can change the value. Firefox does not allow you to have multiple rows of tabs, so if you open more tabs than will fit on the tab bar, you need a way to access the tabs you can’t see. Click the right arrow button on the right side of the visible tabs. The tab bar scrolls in that direction allowing you to access tabs to the right. Once you start scrolling to the right, the left arrow on the left side of the visible tabs becomes available. Click that to scroll back to the left. Click the List All Tabs button (down arrow) on the right side of the visible tabs and select the tab you want from the dropdown menu. Another way to switch tabs is to start typing the name of the tab you want in the address bar. Tabs that match what you type start displaying in a dropdown list below the address bar. Scroll through the list using your mouse wheel and click on the tab name you want. You can also press Ctrl + Tab to switch among your open tabs. As we mentioned above, pressing Ctrl + Tab switches among your open tabs in Firefox. You can also enable a window like the Alt + Tab window for switching among programs in Windows. Go to the advanced configuration settings page using about:config in the address bar. Start typing browser.ctrlTab.previews in the Search box on the configuration page until you see the item in the search results. Double-click the item to change the Value from false to true. Now you’ll see thumbnail previews of your open tabs as you press Ctrl + Tab to cycle through them. Tab thumbnail previews can use a lot of resources, so you might want to disable them if you notice your computer slowing down. Simply change the Value of the browser.ctrlTab.previews setting back to false. With the above methods of accessing and switching tabs at your disposal, you might want to change the minimum width of the tabs. That way the tabs don’t get too small when you have a lot open. Start typing browser.tabs.tabMinWidth in the Search box on the configuration page until you see the item in the search results. On the Enter integer value dialog box, enter a new value, like 100, in the edit box. Then, click OK.
By default, when you use the Search box (to the right of the address bar) in Firefox, the search results display on the current tab, replacing what’s there. You can preserve what’s on the active tab and open the search results from the Search box in a new tab. Start typing browser.search.openintab in the Search box on the configuration page until you see the item in the search results. Now when you type something in the Search box and press Enter, the results display on a new tab. Another way to solve the too-many-tabs problem is to move some of them to another Firefox window. To move a tab to its own new window, click on the tab and drag it below the tab bar. A new window opens containing that tab. To move a tab from one Firefox window to another, drag the tab to the location on the other window’s tab bar where you want to move the tab. You’ll see a black up arrow pointing to where the tab will be inserted. If that was the only tab on the original window, that window will automatically close. Note that if you want to select and move multiple tabs at once, like it’s possible in Chrome by holding Shift or Ctrl, you need to install a Firefox add-on like Multiple Tab Handler. We all have certain websites we visit every time we open our browser. Firefox allows you to keep those sites a click away with pinned tabs. Pinned tabs are small. They only show the site’s icon. Pinned tabs stay on the left side of the tab bar. Pinned tabs don’t have a close button. This prevents them from being accidentally closed. But, you can right-click on them and select Close Tab from the popup menu. Pinned tabs update automatically, and when they do, they notify you with a blue highlight. For example, if you have Gmail on a pinned tab, that tab will be highlighted blue when you receive new email. All pinned tabs you set in a browsing session will automatically open as pinned tabs again the next time you start Firefox. When you click a link on a pinned tab, that link is opened in a new tab. The pinned tab does not change. Some websites do this automatically. But this will happen for any websites on pinned tabs, even if they don’t normally behave this way. To pin a tab, right-click on the tab you want to pin and select Pin Tab from the popup menu. The tab shrinks and shows only the site’s icon and is moved to the left side of the tab bar. To unpin a tab, right-click on the pinned tab and select Unpin Tab from the popup menu. When you unpin a tab, it stays on the left-most end of the unpinned tabs. To move it, drag the tab to another location on the tab bar. Sometimes you may want to temporarily get some tabs out of your way and get back to them later. There is a new Test Pilot feature for Firefox called Snooze Tabs that allows you to dismiss (close) a tab and have it open again at a set time. Mozilla’s Test Pilot program allows you to test new features and give feedback. Snooze Tabs is useful when you need to close a tab, but you need to get back to that web page later. Snooze Tabs won’t let you forget about your closed tabs. You don’t have to create a temporary bookmark that will just get lost among your many bookmarks. The same is true of using a read-it-later service like Pocket. If you haven’t done so already, go to the Test Pilot site and click Install the Test Pilot Add-on. Click OK on the dialog box that tells you the Test Pilot add-on has been added to Firefox. Once you’ve installed the Test Pilot add-on, go back to the Test Pilot site and click Get Started on the Snooze Tabs Firefox experiment. Then, click Enable Snooze Tabs on the next page. Click Add on the Add snoozetabs dialog box. Then, click OK on the dialog box that tells you that Snooze Tabs has been added to Firefox. Once the Snooze Tabs add-on is installed, you’ll see a bell icon with a “z” on it on the toolbar. Whenever you want to close a tab and have it come back later, click on the Snooze Tabs icon. Then, select when you want to see the tab next. To pick a custom date and time, click Pick a Date/Time on the dropdown menu. Then, select the month and year, date, and time and click Snooze. Specify your desired date and time on the next screen. Once you tell Firefox to snooze a tab it will disappear until it’s scheduled to come back. A notification bar displays below the address bar telling you when the tab will come back. If you don’t want to see the notification every time you snooze a tab, check the Don’t show this again box on the right side of the notification bar. Then, click OK.
You can still access your snoozed tabs before the time they are set to reappear. To access a snoozed tab manually, click the bell icon and then click Manage Snoozed Tabs. All your snoozed tabs are listed on the menu. To open a snoozed tab, click on it in the list. The web page is opened in a new tab. You can also cancel a snoozed tab by clicking the red trash can button on the right side of the web page in the list. If you turned off the confirmation dialog box that displays when you snooze a tab, you can turn it back on. Check the Ask for confirmation when snoozing tabs box at the bottom of the dropdown menu. Multi-Account Containers started out as a Test Pilot experiment and has graduated to become a featured Firefox add-on 25 Firefox Addons That Will Make You More Productive 25 Firefox Addons That Will Make You More Productive For those who use Firefox, we have suggestions and add-ons that can assist you in successfully satisfying your productivity resolution. Read More . It allows you to group tabs into containers on one browser window, separating your online activities. No more opening a separate browser window to check your work email. Behind the scenes, Multi-Account Containers separates website storage into tab-specific containers. Cookies downloaded for sites in one container are not available to other containers. Keep different kinds of browsing activities separate from each other. For example, you could sign in to your bank’s site in one container and watch videos on YouTube in another container. Sign in to two different accounts on the same site. For example, you could sign in to two different Gmail accounts in the same browser window in two different containers. Or maybe you have two different Dropbox accounts you want to access at the same time. Keep your social network activity separate from your other browsing activity. For example, news sites may use scripts to track your social identity. You can sign in to your social media accounts, like Facebook and Twitter, in one container and visit news sites in a different container. To install the add-on, go to the Firefox Multi-Account Containers add-on page and click Add to Firefox. Once the add-on is installed, you can set up your containers. Click the Multi-Account Containers icon on the toolbar. Four containers are included by default. But, you can change or delete these and add new ones. Let’s edit one of the default containers. Click Edit Containers. On the Edit Containers menu, click the pencil icon next to the container you want to edit. You can change the Name of the container, Choose a color, and Choose an icon. Click the left arrow on the left side of the dropdown menu to go back to the Edit Containers menu. You can also delete a container by clicking the trash can icon to the right of the container name. A confirmation message displays on the menu warning you that all tabs in the container being deleted will be closed. Click OK if you’re sure you want to delete the container. To create a new container, open the main Multi-Account Containers menu and click the plus icon in the bottom-right corner of the menu. Just like when you edited a container, enter a Name, Choose a color, and Choose an icon. Then, click OK.
To use a container, click on it on the main Multi-Account Containers menu. A new tab is opened with whatever you’ve selected to display on your New Tab page How to Manage the New Tab Page in Firefox 57 Quantum How to Manage the New Tab Page in Firefox 57 Quantum Mozilla has changed the New Tab page again in Firefox 57 Quantum. We'll show you how you can customize your Firefox New Tab page, including using extensions. Read More . On the new tab, go to the website you want to add to that container. When a container has web pages in it, you’ll see a right arrow next to the name of the container. Click the arrow to see the list of web pages in that container. All open tabs you’ve added to this container are listed. Click on a tab to activate that tab. If you always want to open a web page in a specific container, open a tab for that container. Then, go to the site on that tab, as we discussed above. Stay on that tab. Open the Multi-Account Containers menu. At the top, you’ll see your Current Tab listed. Check the Always open in box. Now whenever you go that web site, you’ll see the following message on the tab first. Before clicking one of the buttons, decide if you want to see this message every time you go to this site. If you don’t, check the Remember my decision for this site box. Then, click Open in [Container Name] Container, where Container Name is the name of the container you assigned to the website. You can also choose to open the website in the current container (or no container if the current tab is not part of any container). To stop opening a site in the same container every time, open a tab in that container and go to the site you want to remove. Then, open the Multi-Account Containers menu and uncheck the Always open in box. If you’ve accidentally closed a tab or closed a tab and then decided you want it back, there are ways you can reopen tabs you’ve closed How to Reopen Tabs You've Accidentally Closed in Your Browser How to Reopen Tabs You've Accidentally Closed in Your Browser We've all been there: too many tabs open and we accidentally close the wrong one. Luckily, all browsers make it super easy to reopen a tab that you didn't mean to close. Read More . To reopen a closed tab, go to Firefox menu > Library > History > Recently Closed Tabs. Then, click on the tab you want to reopen. You can also press Ctrl + Shift + T to reopen the most recently closed tab. Keep pressing this keyboard shortcut to reopen tabs in the order they were closed, from most recent to older tabs. You can also right-click on any open tab and select Undo Close Tab. This is the same as pressing Ctrl + Shift + T to reopen the most recently closed tab. 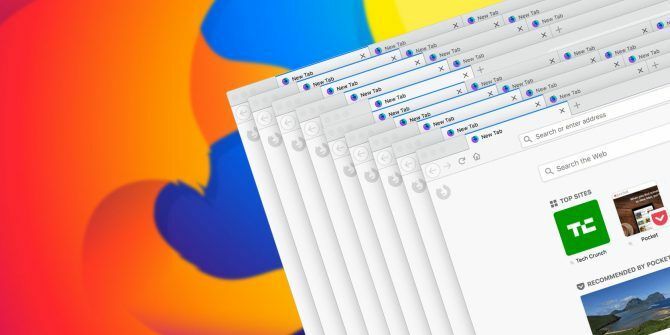 If you like starting from where you left off every time you open Firefox, you can set the browser to open the tabs and windows you had open from the last time you had Firefox open. Go to Firefox menu > Options. You can also enter about:preferences in the address bar and press Enter. Make sure the General screen is active. Under When Firefox starts, click Show your windows and tabs from last time. If you don’t want to open tabs and windows from your last session every time you open Firefox, you can restore tabs and windows from the previous session while in Firefox. To do so, go to Firefox menu > Restore Previous Session. To correctly restore tabs and windows next time from the current session, you should close Firefox using the menu (Firefox menu > Exit, or press Ctrl + Shift + Q). Don’t click the X button in the upper-right corner of the browser window. If you close a window or a tab during a session, only tabs open in the final window that you close are available to restore when you restart Firefox. When we tested this feature, any tabs displaying the home page were replaced with the tabs from the last session. If you have any other sites open on tabs, they are preserved and the tabs from the previous session are opened on new tabs. You can also decide to save the current browsing session when you quit Firefox. It will be restored the next time you start Firefox. Start typing browser.showQuitWarning in the Search box on the configuration page until you see the item in the search results. Now every time you quit Firefox, the following dialog box displays. To restore your current session the next time you open Firefox, click Save and Quit. To start fresh the next time, click Quit. By default, when you click the close button on the only open tab, Firefox closes. If you want to be able to close the last tab without closing the browser, you can change a setting in the advanced configuration settings. Start typing browser.tabs.closeWindowWithLastTab in the Search box on the configuration page until you see the item in the search results. Double-click the item to change the Value from true to false. Now when you close the last tab, the Firefox window stays open and your default new tab page opens on the tab. Browsers have improved over the years and today they are generally faster. But, if you open a lot of tabs, and leave them open for a while, they will start using more and more memory, slowing down your computer. Closing Firefox and reopening it usually solves the problem. But, you can also see which tabs may be slowing down Firefox 5 Things to Do When Firefox Runs Slow but Other Browsers Run Fast 5 Things to Do When Firefox Runs Slow but Other Browsers Run Fast Firefox shouldn’t feel slow, particularly when compared to Opera and Internet Explorer. If it does, try these tips and see if you can restore it to its full glory. Read More , so you know which tabs to close. Firefox doesn’t have a built-in task manager like Chrome, but there is a built-in tool for viewing performance stats for open tabs. To find out which tabs have the highest CPU usage, enter about:performance in the address bar and press Enter. The about:performance page shows how memory is being used How to Troubleshoot Low RAM or Memory Leaks in Windows How to Troubleshoot Low RAM or Memory Leaks in Windows Do you have 4 or more GB of RAM and does your computer still feel sluggish? You may suffer from a memory leak or shortage. We show you how to troubleshoot all your Windows (10)... Read More in the Memory usage of Subprocesses section. A list of all your open tabs is shown in the Performance of Web pages section. For each tab, Firefox tells you that the tab may currently be slowing down Firefox or that it currently performs well. To see more details about the performance of a tab, click the more link to the right of the tab name and status. The link text will change to less allowing you to hide the details again. The percentage of CPU being used by the tab is listed next to CPU usage. If a tab is using a larger percentage of CPU than all other tabs, you may want to close it or reload it using the Close tab button or Reload tab button right there on the page. When you open a lot of tabs in Firefox, not all of them are visible. 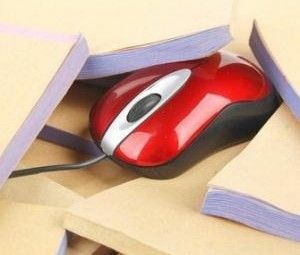 You must use the various methods to access and view open tabs that we discussed in the first three tips in this article. The ability to have multiple rows of tabs is one advantage Firefox has had over Chrome in the past. Neither browser has a built-in way of getting multiple rows of tabs. Unlike Chrome, there have been add-ons available for Firefox, like Tab Mix Plus, that help you get around this limitation. But, these add-ons no longer work in Firefox 57 Quantum. Firefox updated to the new "Quantum" version of the browser, and now I'm just completely lost without the TabMixPlus extension. Anyone use anything that allows easy management of large numbers of tabs? TabMixPlus allowed multiple rows of tabs, which I liked. So, how do you get multiple rows of tabs in Firefox now? There is a workaround using a Cascading Style Sheet 7 Programming Skills All Website Developers Should Know 7 Programming Skills All Website Developers Should Know Website design and development offers good pay and benefits, decent working hours, and the prospect of advancement. We'll show you which essential skills you can start learning now to get into this exciting field. Read More (CSS) and we’ll show you how to implement it. First, we’ll go to the page on Github that has the CSS style sheet code we need. Open Firefox and go to the following web page on a tab. Then, click Raw on the toolbar above the CSS code. Now we’re going to turn on some advanced developer settings. Go to Firefox menu > Web Developer > Toggle Tools. The Developer Tools panel opens at the bottom of the browser window. Click the gear icon on the toolbar on the right to open the Toolbox Options. Next, we’re going to access the style editor, so we can add the CSS code. Go to Firefox menu > Web Developer > Browser Toolbox. On the Incoming Connection dialog box, click OK to allow the connection. On the Browser Toolbox, or Developer Tools, dialog box, click Style Editor on the toolbar. Click the plus icon in the upper-left corner of the left pane to Create and append a new style sheet to the document. Make sure the New style sheet is selected. You’ll see a blank pane on the right. Go back to the tab in the main Firefox window containing the CSS code on Github. Highlight all the CSS code on that tab, right-click on it, and select Copy from the popup menu. Go back to the Developer Tools dialog box. Right-click in the empty right pane for the New style sheet and select Paste. If you’ve upgraded Firefox to version 58, you must make a few changes to the style sheet for this to work. Wherever you see “.tabbrowser-tabs”, change it to “#tabbrowser-tabs”, replacing the period (.) with a pound sign (#). Make sure you only change the “.tabbrowser-tabs” items, not the “.tabbrowser-tab” items. There should be an “s” at the end. Select the CSS code you just pasted and changed and copy it. You will need to paste it into a style sheet file a bit later. We also must add the CSS code as a new style sheet file in the current Firefox profile. This will link to the New style sheet we added on the Developer Tools dialog box. Go back to the Firefox main window and go to about:support on a tab. Then, click Open Folder next to Profile Folder. You should be in the profile folder, but make sure you are. On a Mac, you’ll need to open the profile folder in Finder. 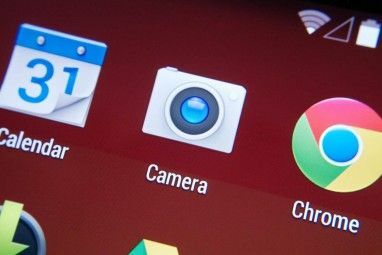 Create a new folder called chrome and open it. Create a new file called userChrome.css in the chrome folder. To do this in Windows, right-click in the right pane in File Explorer. Then, select New > Text Document. If you’re on Mac or Linux, you can use the touch command in a Terminal window to create a new text document. Note the full path to the chrome folder in the Firefox profile folder. Open a Terminal window and navigate to the chrome folder in the profile folder. Then, enter the command touch userChrome.css. In File Explorer in Windows, rename the file to userChrome.css and click Yes on the confirmation dialog box that displays. Open the new file in a text editor, like Notepad. Double-clicking the file will probably not work because the extension is not .txt. To open the file in Windows, right-click on it and go to Open with > Notepad (or whichever text editor you want to use). If the text editor you want to use is not on the popup menu, open your editor and open the userChrome.css file from within the editor. In Linux, you can use gedit and on Mac you can use TextEdit. Paste the CSS code you copied into the userChrome.css file and save it. Make sure there is a pound sign (#) before each of the “tabbrowser-tabs” IDs, not a period (.). You’re all set now. You can close the Developer Tools dialog box. And you can close the Developer Tools panel at the bottom of the main browser window. Now Firefox will start a new row of tabs when one row becomes full based on the minimum width of the tabs. See the fourth tip, “Change the Minimum Width of the Tabs,” above for instructions on how to do that. You’re Now a Firefox Tabs Power User! There are many ways to make the best use of tabs in Firefox 57 Quantum The Firefox FAQ: 7 Key Questions Answered The Firefox FAQ: 7 Key Questions Answered New to Firefox? Firefox Quantum is worth your time! 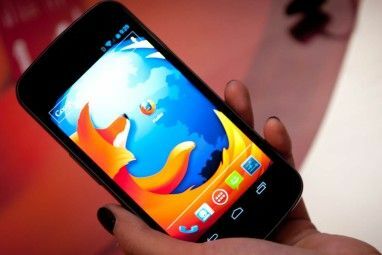 Here we have compiled the answers to the most frequently asked questions about Mozilla Firefox. Read More . The tips we presented here are some of the more useful ones we found. They will help make your browsing experience easier and more efficient. How do you manage tabs in Firefox? Do you have any other tips for using tabs? Share your ideas and thoughts with us in the comments below! Explore more about: Longform List, Mozilla Firefox, Tab Management. The "userChrome.css" trick no longer works in Firefox 65! Thanks a lot the the great tweaks ! Anyone knows something like Power Tabs add-on for newer version, but that it's not bugged that much that is being unusable? The new version of Firefox knocked out the three most important add ons for me, which makes it just another Chrome to me. I still use the final version of Firefox before the switch for most of my browsing and turned off updates . Availability as a .pdf is much appreciated. The writer of the add-on has promised he would rewrite the add-on according the "new style" but he immediately told the community the new version won't have the same functionality any more compared to the old one, simply because Mozilla has tightened the API. Meaning, the developpers of add-on's can't get to all the necessary functionality any more. LOL Out of my 4 tabs, about:performance maybe currently slowing down Firefox!